Before read Part 3, be sure you read Part 1 and Part 2 . In training program, there is always a nutritional plan because to build muscle lifting weights isn’t enough. The good quantity of protein in relation to your bodyweight is an extremely important element. But as you’ve noticed, it’s difficult to eat enough protein without eating too much fat. Protein supplements are a solution. Protein supplements can increase protein intake without increasing the fat’s amount in your body and ease protein intake several times a day. Eating several times a day is essential for a bodybuilder and having tips to make it easier is appreciated. 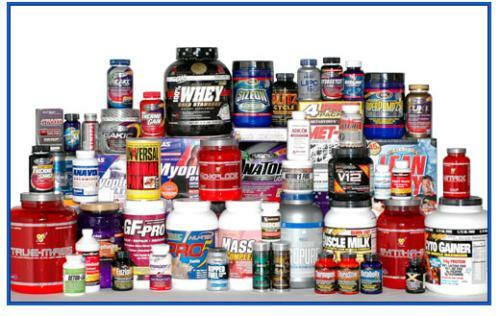 There is an incredible variety of protein supplements and they really have a dessert’s taste. What’s interesting is that they’re more and more rich in nutrients with vitamins and minerals and in macronutrients with proteins and carbohydrates. Find a protein supplement that meets your nutritional needs and tastes can be a help in your nutritional plan. As there is an incredible amount of protein supplement, there are several things to check to help you choose. 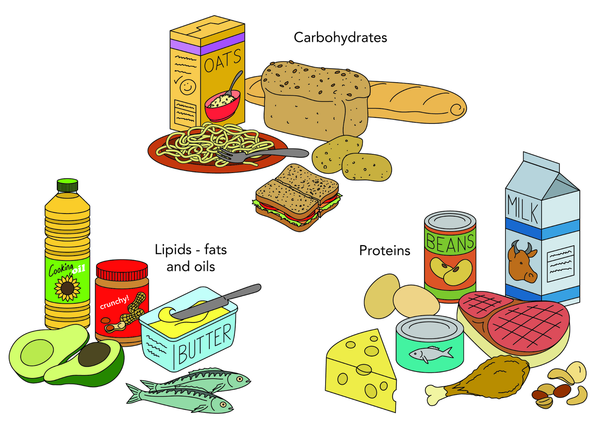 First, reading the label is important because there are some that really contain too much carbohydrate. It’s good to know that carbohydrate improve the conversion of food protein to muscle protein but an excess of carbohydrate creates an excess of calories which prevents your body from easily burning fat. Therefore, it’s necessary to count the number of carbohydrate on the label. Second, protein supplement that is consumed pure, without a meal or without carbohydrate, isn’t metabolized effectively. Research shows that for the protein to be used for protein synthesis, it must be consumed with calories, especially those from carbohydrate. Otherwise protein and used as energy production. On the other hand, if you’re on a low carbohydrate diet and you increase your protein intake for energy (to compensate the lack of carbohydrates), it may be a good idea. All these proteins are of high quality. For the moment, no scientific studies show that there is one protein better than the other. 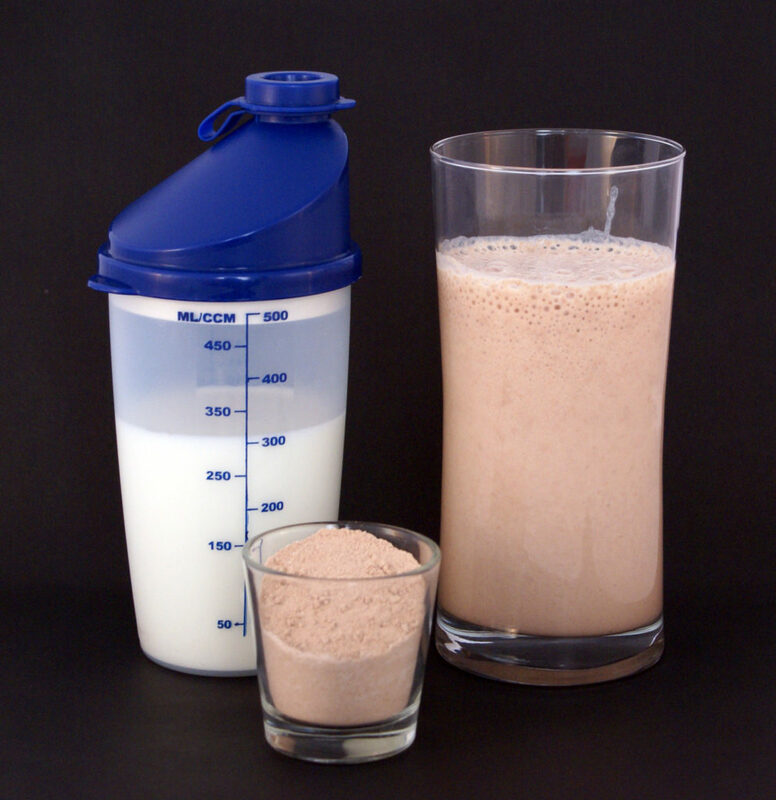 Protein supplements made from milk and eggs are the most popular among bodybuilders. Soy protein has a specificity because it can reduce serum cholesterol rate in some people. This may be advisable for people with cholesterol problems but it’s careful because it’s possible to find a lot of GMOs in soy. It’s important to remember that protein supplements aren’t created to be the only source of food protein. 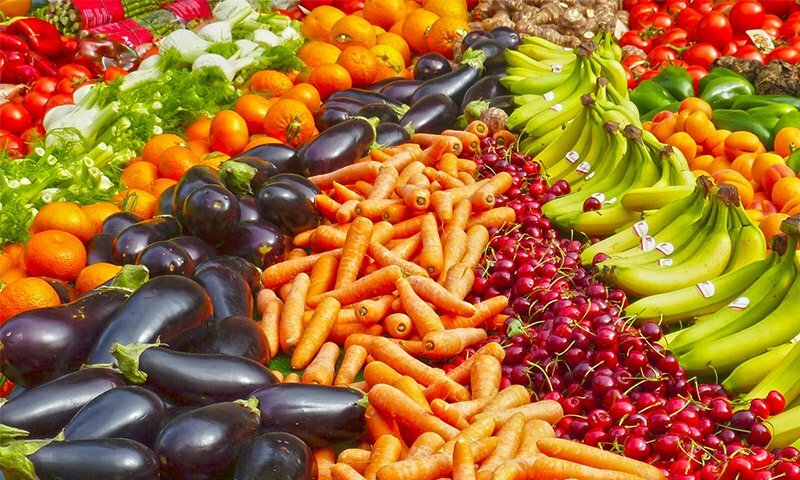 A balanced diet consisting of whole foods is essential for a healthy diet and building muscles. What’s up ? This is THE stephane ANDRE !!! I heard Olivier Roland’s tips and I learned some good stuff. Entrepreneurship and personal development are 2 related elements. 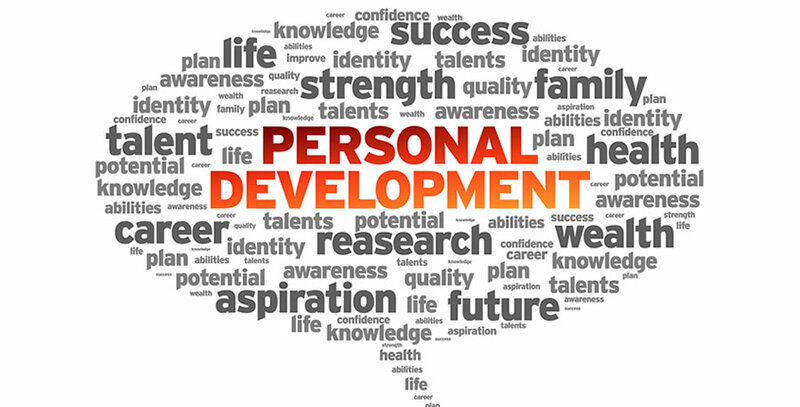 To start, I think it’s necessary to define “personal development” because there is everything and anything. Personal development means self-development. Self-development means getting better. It’s important to clarify this definition because the majority of people (and also the majority of my family members) think that personal development is a scam. What I understand is that these people are talking about companies in the personal development industry. And yes, as in all industries, there are scammers but the difference with personal development is that we buy not a product or service but training. And to know if a training is effective it takes several months. But I repeat again in every industry, there are scammers and there are excellent personal development companies. Now, we agree that personal development is about getting better. For a company, a company must always improve its products or services to satisfy clients. As you can see, the word « improve » is common to both. Entrepreneurship is something that takes you out of the comforts zone and asks you to be bold. It’s something that many people dream of doing but don’t dare to do. Entrepreneurship is something that involves risks and even significant risks such as no longer having money, going bankrupt, being the laughingstock at by your family or co-workers who have stayed in their jobs and who tell you : « You see, I told you ! », etc. The problem with entrepreneurship is that we can’t learn to be an entrepreneur at school. I know there are good schools that teach a lot of things, but it’s only in the field that we learn. And with high tech, everything is changing very quickly and schools don’t have time to create a course on a specific topic because on the field it has already changed. When you decide to be an entrepreneur and start a company, you need to improve yourself and learn new things to grow your company. My opinion is that entrepreneurship is a great way to become a better version of yourself. 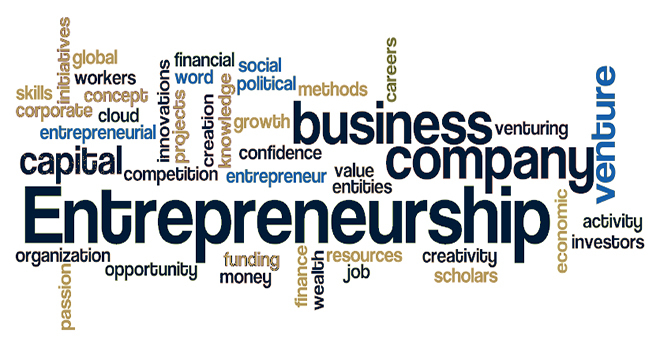 Entrepreneurship and personal development are linked because of the verb « to improve ». There is also another way to improve yourself in life. We’re experiencing difficult problems that make us move out of our comfort zone and evolve. But the problems always happen by surprise (like my dad today with his early Alzheimer) while the entrepreneurship, it’s us who decide to make this process, it’s intentional. And because it’s intentional, this process allows us to improve yourself, to improve the lives of loved ones and improve the world. If you didn’t read Part 1, click here . In the table, there is the value of whole eggs and it’s done on purpose. There is a fashion that consists only of eating the egg’s white because the yellow contains fat and cholesterol (which the egg’s white doesn’t have). The problem is that the egg’s yellow contains as much protein as the egg white and the majority of the vitamins and minerals of the egg. In the table, you can see that rice, potatoes and beans give less usable protein than eggs and fish. It’s because that they have few essential amino acids. However, you can combine foods that have little useful protein so that the mix of all this gives you the amount of usable protein you need. With this combination of feeds that have little usable protein, adding a complete protein food makes an excellent meal. This combination of food with little usable protein is convenient because these are foods that are generally low in calories and fat, which is not the case for many complete protein foods. When you try to get as much muscle as possible with less fat, it helps a lot. You can also have fat-free protein with supplements. By remembering these food categories, you will be able to combine your foods to have the maximum protein available for use. 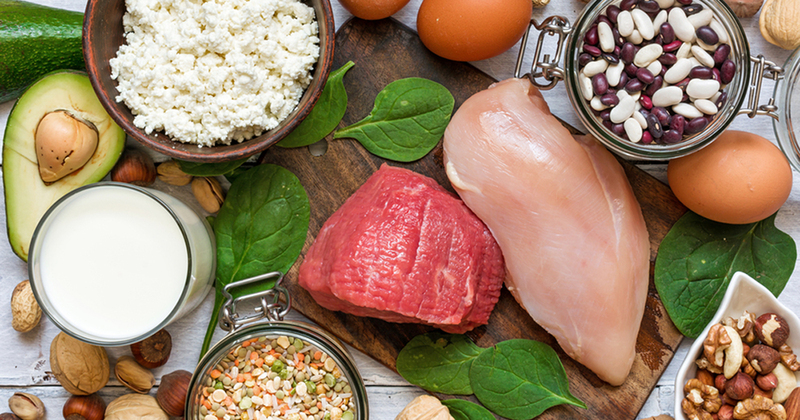 You can also read a nutritional guide to know which of the 8 essential amino acids is missing in a food to be more precise, but with these food categories, it’s easier. You just have to calculate the amount of protein you need per day, apply what you just read and reach your goals. What’s up ? This is THE stephane ANDRE. With my training, I’m interested in nutrition to stay in shape. I read some advices from Arnold Schwarzenegger and I learned some good stuff. Your body uses protein to build, repair and maintain muscle tissue. Bodybuilders have a great knowledge of nutrition, especially the protein for building muscle. Since they want to consume much more muscle than the average person, they consume more protein than average. Your body uses protein to build muscle only if all the necessary amino acids are available. The small problem is that your body doesn’t produce by itself all the necessary amino acids. Amino acids that your body can’t produce are called essential amino acids and fortunately they’re available in foods. Proteins are made of carbon, hydrogen and oxygen like other macronutrients, but proteins have one more element, nitrogen. Bodybuilders often explain that they have a positive or negative nitrogen balance, which means that they’re in an anabolic state (muscle gain) or in a catabolic state (loss of muscle). There are foods called complete proteins, which means that they provide all the amino acids needed to create usable proteins. Milk, eggs, meat, fish and many vegetable products have complete proteins. 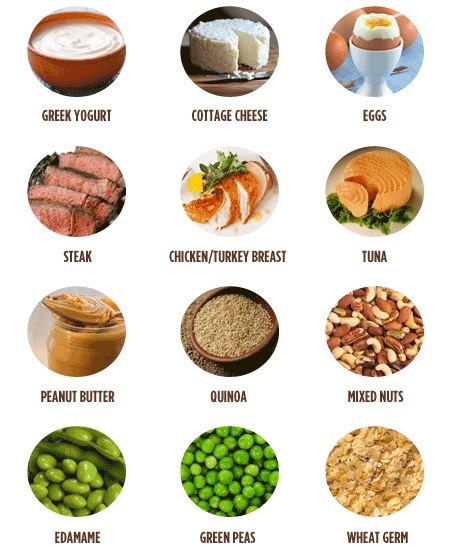 Be careful because these foods don’t have the same amount of usable protein by weight. For example a food that contains 10 grams of protein, your body can use only 7 grams. This table tells us that an egg contains only 12% protein by weight. Despite this small percentage, an egg contains an amino acids balance that allows your body to use 94% of it. However, the table tells us that soy flour contains 42% protein by weight. But because of the amino acids composition, your body can use only 61%. This shows us that there is a difference between the protein’s amount in a food and the protein’s amount your body can use. This is the end of Part 1.In Part 2, I show you that in cases where you don’t have complete protein foods, it’s possible to make combination of food to have the maximum protein used by your body. 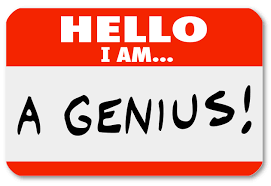 There is an interesting book by Mark Levy named Accidental Genius . This book explains a method to unleash your creativity and brain’s power to find solutions to your problems. This book doesn’t speak to the fact that supposedly we use only 10% of our brain but rather that we underestimate an important thing, write what we think. When we think without written support, we deprive ourselves of an enormous source of structuring thoughts. Our thoughts go further and more structured when we think in writing than when we think in our head and we forget those thoughts very quickly. Unfortunately, there is a difficulty. It’s that we write very slow compared to the speed we think. But Mark Levy has a method to overcome this difficulty, it’s free writing. Choose a problem that takes your head, take a piece of paper or open a document on your computer and start writing all that happens in your head. For exemple, if you wan to start a company, the problem can be : « how can I start a profitable company as soon as possible ? ». Like a brainstorming, you write a maximum of idea in a minimum of time. To ease this process, ,you write without paying attention to grammar, vocabulary, syntax, punctuation, etc. You write with lots of mistakes to make it fluid. Anyway, you don’t write for someone, you write for yourself so you can let go, write whatever you want. When you have a moment where you block, keep writing. You can write 40 times the same word, it doesn’t matter. 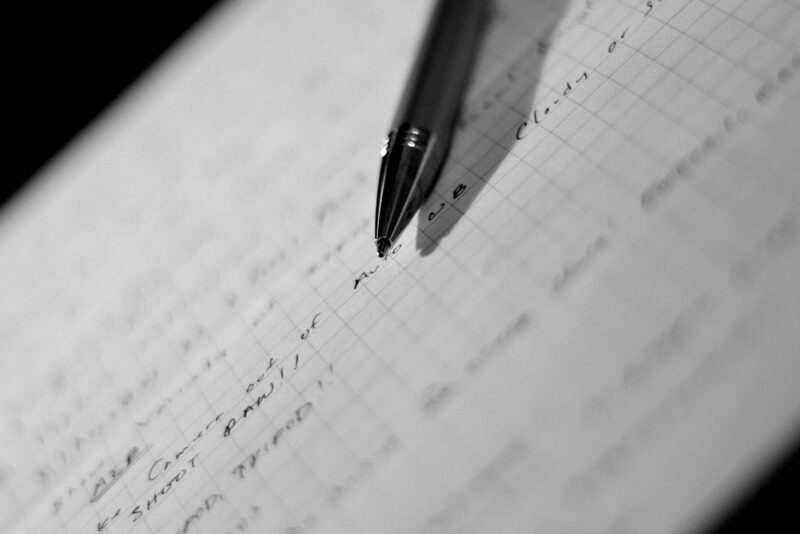 As you continue to write, you will force your brain to find other ideas and to return to the flow of thoughts. It’s advisable to do this for 10 minutes. I tested this method and it’s surprising but I have to use it more often to develop this skill. What I like with this method is that I can use it for all areas of my life and it takes 10 minutes in the day. My question is, are you also going to test this method or are you one of the people who reads my blog to make yourself feel good ? What are you doing ? A protein is made of different amino acids to provide the materials constituting the muscle tissue. A protein is also a component used in all body organs such as tendons, bones, skin structure and other bodily functions because all enzymes are proteins. Carbohydrates are fuel for energy. They’re made of different molecules more or less complex than those of sugar or starch. Fats or oils contain the densest energy reserves. Water is an essential element. It make up about 72% of the muscle and most bodybuilders drink several liters of water a day. Vitamins are essential chemical elements that allow several biochemical reactions. Minerals are essential for many vital functions of the body. Amino acids are part of the protein that we receive from food. Essential acids are elements that we receive from plants or fish oils. I discovered what it was an infopreneur by reading Tim Ferriss‘s book « 4-Hour Workweek ». It was a book that was recommended in a personal development’s blog and this book has completely changed my way of seeing a « job ». This is definitely a point of view that we don’t learn at school, even at business school. The profession of infopreneur is a very interesting profession and evolves all the time because of new technologies. In fact, if you don’t know, an infopreneur is a person who earns money on internet with information products. These information products aren’t news but they’re information to help people achieve a goal on a specific area. What is special about this job is that we enable people to be more effective in things that are important to them and the result is that they’re happier. One of the advantage of this job is geographical freedom. 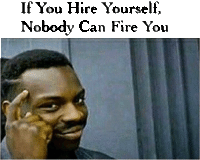 The company is based on internet, which means that you only need a computer and an internet connection to work. There is no obligation to go to a workplace, you can work every day in a different place or in a different country as long as you have access to an internet connection. There are more and more jobs that allow you to have this freedom like programmer, virtual assistant, bookkeeper, data entry, copy writing, translator, travel agent, transcriber, etc. It’s a profitable business because selling information on internet makes it easier to reach a large number of people with little money. Imagine how it was to sell a book before the invention of printing. Even if you had written the best book in the world, it was hard to live on it. Imagine, so that 2000 people can read your book, you needed 2000 handwritten copies of your book. Copying books was not a really cool job, so you can imagine how complicated it was. If you offer me a job that consists of copying 2000 books of 300 pages, I’ll answer you : « No, thanks !!! ». With the invention of printing, authors started earning more mony because more people could read their books and that to increase later with the invention of copyrights. With digital books (ebooks), it’s possible to sell 100 or 1 000 000 books without the huge costs of printing, distribution, storage and return management. There are still costs but they’re very low for the servers and the support (for example a client didn’t receive the email to download the ebook). 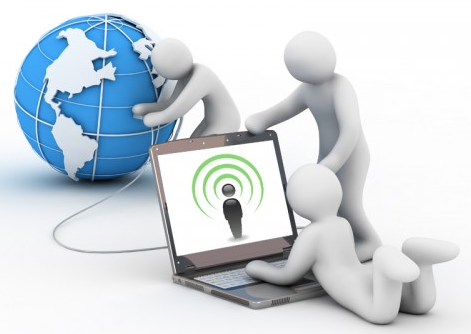 With internet, it give you the opportunity to manage the distribution of your information products yourself. Before internet, you had to have an appointment with a manager of a radio, television to reach as many people as possible. If this manager liked your work, you could have ads on radio, television but if this manager didn’t like your work, no ads. Many talented people couldn’ have a great exposure to make known their talent because of these « Gatekeepers ». Internet allows you to no longer need to these gatekeepers to reach a large number of people. If you want to know more, I advise you to read this article that I wrote. Click here .